Makeup, Beauty and More: L’Occitane Holiday Gifting - L’Occitane Gives Back To The Visually Impaired. L’Occitane Holiday Gifting - L’Occitane Gives Back To The Visually Impaired. Every year L’Occitane has some amazing gifts for the holidays and this time around, they are giving back by donating up to $100,000 to the American Foundation for the Blind (AFB) when you shop one of their “eye” gifts, online at usa.loccitane.com or stores. 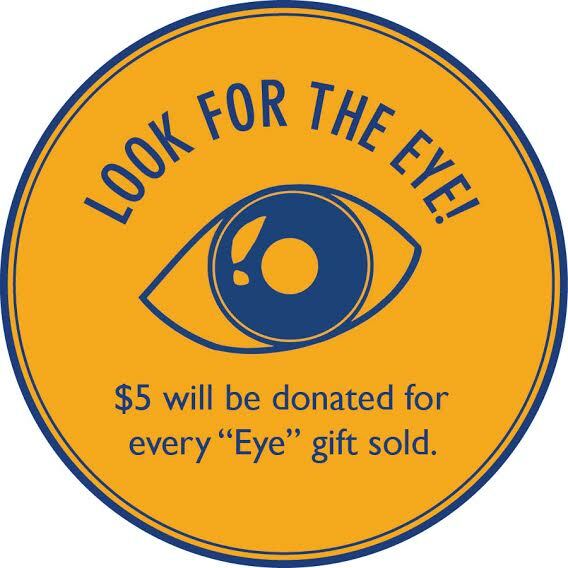 All you need to do is “Look For The Eye” while you shop (which is a symbol like the one below), and L’Occitane will donate $5 for every such gift sold, through the month of December. A little more info on this is below. This December, L'OCCITANE en Provence will give back by donating up to $100,000 to the American Foundation for the Blind (AFB). Throughout the month of December, $5 for every designated ‘Eye’ gift set sold in-stores will help fund the AFB's award-winning programs like VisionAware, which provides help and hope to nearly one million adults new to vision loss, and FamilyConnect, a network that connects close to 200,000 families with vision loss resources each year nationwide. As a beauty brand committed to offering a sensorial immersion in natural beauty and fragrance,L’OCCITANE has long supported programs that help the visually impaired throughout the world. In 1997, L’OCCITANE founder Olivier Baussan, began producing products with braille on the packaging, ensuring that everyone – even those who could not see – could shop in L’OCCITANE stores with ease. Since that time the brand has continued its contribution to this cause, working with NGOs in developing countries to treat curable blindness, partnering with the AFB to host fragrance workshops at its Provence headquarters for young students, and most recently, creating a month-long Helen Keller exhibit at its NYC flagship store. *PR Info. I am not affiliated, neither have affiliate links been used. Just passing along info about what I think is being done for a very good cause.